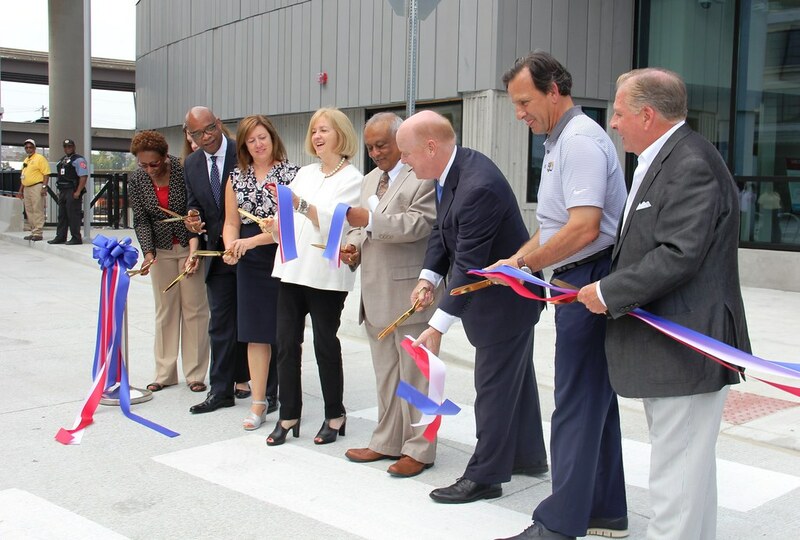 Metro hosted a ribbon-cutting celebration on August 10 to mark the opening of the newly expanded Civic Center Transit Center in St. Louis just days before MetroBus service returns to the transit facility on August 14. Representatives from the Federal Transit Administration (FTA), City of St. Louis, St. Louis Blues, and other regional partners participated. 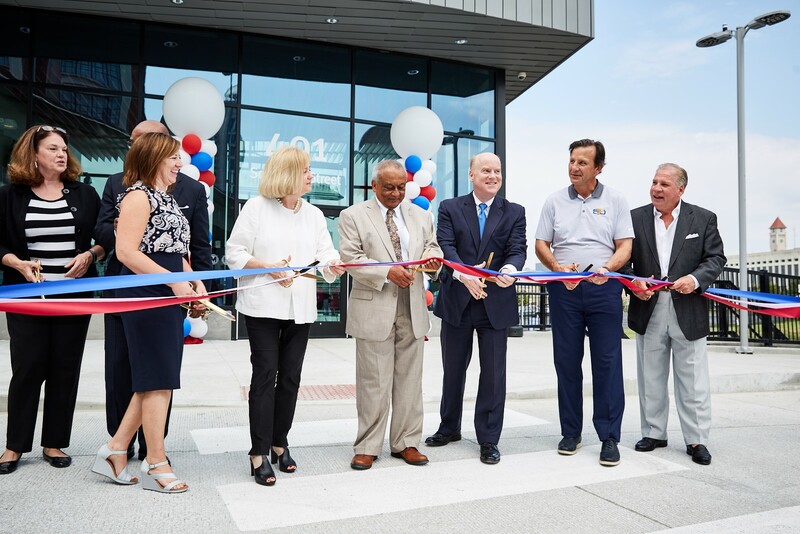 The completely redesigned Civic Center Transit Center located at 14th and Spruce Streets will serve all 23 MetroBus routes that operate in downtown St. Louis, connecting them to MetroLink and Metro Call-A-Ride with easy access to Amtrak and Greyhound. Construction began in April 2016 to expand the transit center and to incorporate several features requested by riders such as public restrooms and an indoor waiting area. Arcturis was the design firm and KCI Construction was the general contractor for the project. The completely redesigned Civic Center Transit Center will provide a safer commuting environment for MetroBus riders and MetroBus operators. Some MetroBus passengers were picked up and dropped off on 14th Street while traffic zipped by because the transit center could not accommodate any more buses. All buses will now board passengers inside the transit center, off the street, out of the traffic. The transit center now will utilize all of the property at 14th and Spruce Streets, increasing the number of bus bays from 6 to 18 while adding a transit center building with an indoor waiting area, concessions, security and Metro transit personnel offices. The Civic Center Transit Center will be able to easily serve 23 MetroBus routes and is built for future transit needs. It can accommodate 60-foot buses and electric buses and could serve as a terminal point for Bus Rapid Transit Service with very little modification. Federal funding secured through the FTA by Metro paid for 80 percent of the $10.5 million total project cost. The remainder was provided through local funding. In addition, the Civic Center Transit Center will be completely smoke-free. Smoking of any kind, including use of e-cigarettes, will not be permitted on the property. This is the first step as Metro begins to transition all of its MetroLink stations and transit centers into smoke-free facilities and smoke-free properties. Smoking will be prohibited at all Metro transit locations, Park-Ride lots included, effective September 5.